Hunting Monsters: By their friends shall ye know them? By their friends shall ye know them? I hope to write at some length about Hugo Chavez, but may never get round to it. 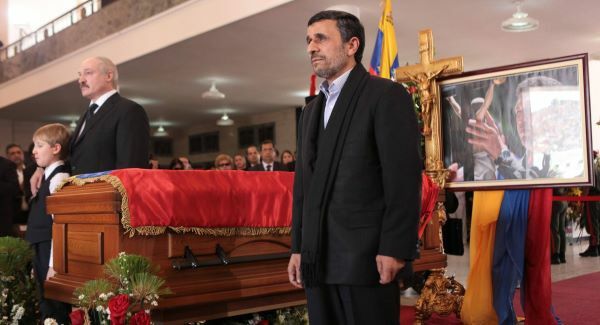 In the meantime, here is a photograph of the Belarusian dictator Alexander Lukashenko and President Mahmoud Ahmadinejad of Iran standing beside his coffin.